Streaming set-top boxes are no longer about media consumption. The newest entrants—from Amazon, Apple, and Google—fit into a larger lexicon of connected digital lifestyles. Think intelligent television for the information-obsessed and for visual voyeurs demanding the highest-quality video that is commercially available. 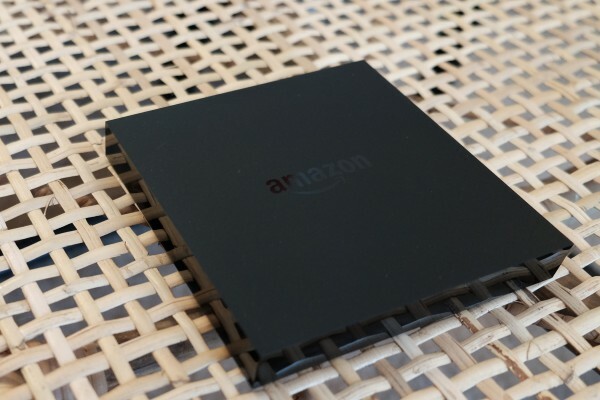 On Oct. 1, 2015, I started testing the new Amazon Fire TV, which goes on sale October 5th. I will later review the newer Google Chromecast but unlikely Apple's device (because a review unit isn't available and I wouldn't buy one for personal use). There is nothing radically new about Fire TV. It's more of the same only much better. Key benefit for some: 4K Ultra HD video support. Benefit for all: Enhanced voice-interaction capabilities that include Amazon's Alexa digital assistant. Then there are iterative enhancements that improve overall benefits. Giving my conclusion at the start: Fire TV is the best all-around streaming box from the three major digital lifestyle platform providers. I deliberately exclude Roku for being a set-top box manufacturer rather than larger platform provider and Microsoft and Sony because their living room lifestyles build around costlier game consoles. If you have a 4K television, Amazon has you covered; Apple and Google don't. Let's start by surveying the landscape from above before exploring the view at ground level. As aforementioned, the major streaming boxes fit into one, or even several, digital lifestyles. Amazon, Apple, and Google offer distinct but similar lifestyle platforms built around apps, digital content, online stores, search, voice interaction (new for Apple TV but not the other two set-tops), and other capabilities or benefits. Amazon's lifestyle is broadest and deepest when adding its larger retail store. Who doesn't shop there? All three companies provide access to your digital stuff anytime, anywhere, and on most anything. I say most because Apple's lifestyle largely locks into its own devices. Additionally, Amazon Instant Video isn't supported by Apple TV or Chromecast. The day my Fire TV review unit arrived, the retailer informed store partners that the two aforementioned competing devices won't be sold after October 29th. Happy Halloween! How's that for trick or treat? If Apple and Google won't treat their users to Amazon's video service, the retailer will trick their devices. Each of the three companies lets consumers cast content from smartphones or tablets to their set-top boxes, from which personal content like digital music or photo libraries also can be enjoyed. Joining Amazon, new Apple and Google set-tops also offer gaming. What sets Amazon apart is Prime. The service that started out by offering free and low-cost shipping is itself a selective digital lifestyle around audiobooks, ebooks, movies, music, online shopping, TV programs, and more. As part of the $99 yearly subscription fee, Amazon includes loads of free-to-stream content. Some of the best is original programming, like the Emmy-award-winning "Transparent", delightful "Mozart in the Jungle", or forthcoming "The Man from High Castle". I'm surprised: According to a toolbar that Amazon now places on my landing page, I have been a Prime member for 8 years and 4 months. Whoa, that long? And I opened my Amazon account in 1998. Amazon gets what Apple doesn't but Google does: Voice, not touch, is the user interface for the so-called post-PC era. While the fruit-logo company harps about 3-D Touch as the next thing on iPhone 6s and 6s Plus, Amazon and Google improve voice interaction and extend it to more devices. The retailer jumped ahead of competitors by offering voice search with the original Fire TV, for example, then expanded its utility elsewhere with the clever. multi-faceted Echo, which waits for your questions and follows your commands. Coming full circle, Fire TV now incorporates Echo's digital assistant, providing surprising benefits. So, alongside the already compelling voice search utility, users can now ask for information while sitting on their comfy couch. Press the voice button, ask "What's the weather? ", then release. 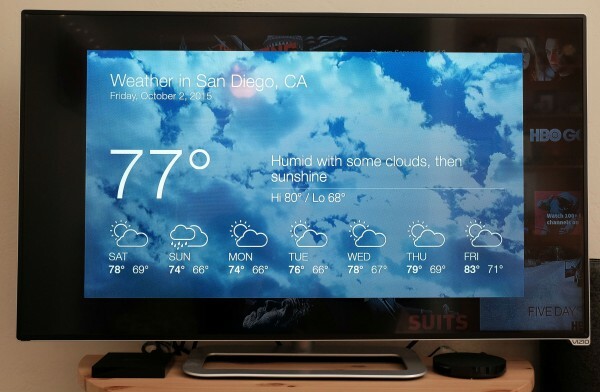 Alexa will give you a quick synopsis and display the five-day forecast for you. Problem: Alexa's interactive capabilities are more limited on Fire TV than Echo, and while Amazon says more are coming, it's unclear how much the retailer will cannibalize one device to benefit the other. That said, you can ask Alexa lots, although some things, like traffic for your daily commute, requires some additional, manual set up. While you and Alexa acquaint and Amazon makes her smarter, Fire TV voice search finds content of all kinds, simply and super fast. The utility is consistently accurate recognizing what you say. The new Apple TV will incorporate—critics might say imitate—some search via voice capabilities. They aren't available to test from the touch-me obsessed company, so I can't compare. Meanwhile, Chromecast tries to extinguish some of Fire TV's flame, by promising search results beyond Google Play store. Search for "X-Files", and the Chromecast app will direct you to the series on Hulu and Netflix, also. Search for "Outlander", however, and the series shows up on Google Play but not the Starz app, which can cast the series. By contrast, Fire TV first presents the Starz Play app, which I have installed, to stream episodes. Amazon search also supports Crackle, HBO Go, Hulu, and Showtime. The reach Chromecast promises, Fire TV delivers. 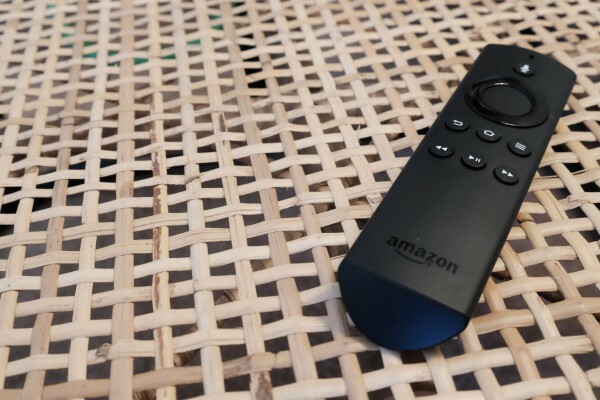 That neatly segues into another advantage over Apple TV, but not necessarily Chromecast: Fire TV offers apps for a much broader and meaningful set of video services. My household uses Cox for Internet, and we pay another $20 a month for something called Flex Watch that provides cable box with local HD channels and premium channels Encore, HBO, and Starz. But the Cox connection isn't in the same room as the television, so rather than use the box we use FW for streaming from the Encore Play, HBO Go, and Starz Play apps—all available on Fire TV. Google's got `em, but last I checked Apple has HBO and Showtime but not the other two. Let's talk hardware. While the blogosphere laps up Apple Kool-Aid like a narcotic, praising every device as being the best new thing ever, Amazon is largely ignored. The retailer's branded gear is easily dismissed by fashion-tech crazed bloggers; the black matte finish of Fire devices doesn't make any of them stand out. They aren't shiny pretty; the overall design approach is understated. On the inside, however, Amazon offers tremendous value for the features given. How interesting. The company burst into online retail by selling books, which are appropriate metaphor for any Fire device. As the saying goes: You can't judge a book by its cover. Fire burns bright within. Fire HDX 8.9 is good example. The tablet's screen resolution, and I would argue display's visual acuity, exceeds either iPad mini 4 or iPad Air 2. Overall performance is excellent, for considerably less selling price. The fully loaded 8.9-inch Amazon tab, with 64GB storage, WiFi, and LTE, sells for $529.99 (after $50 instant discount). The 7.9-inch mini is $100 more, and the 9.-inch Air is $729. Fire TV's value is harder to discern, without actually using the unassuming streamer; the specs don't reveal enough: 2GHz quad-core MediaTek processor; 2GB RAM; 8GB GB storage, expandable to 128GB from the microSD card slot; Power VR GX6250 GPU; dual-mode WiFi, supporting AC; Bluetooth 4.1+LE; HDMI and USB 2 ports (one each); 10/100 Ethernet; Dolby 5.1 support. Measures 115 x 115 x 17.8 mm (4.5 x 4.5 x 0.7 inches) and weighs 270 grams (9.5 ounces). Fire TV sells for $99.99, or $139.99 with game controller and 32GB microSD card. Benefits are aplenty behind the streamer's unassuming exterior. 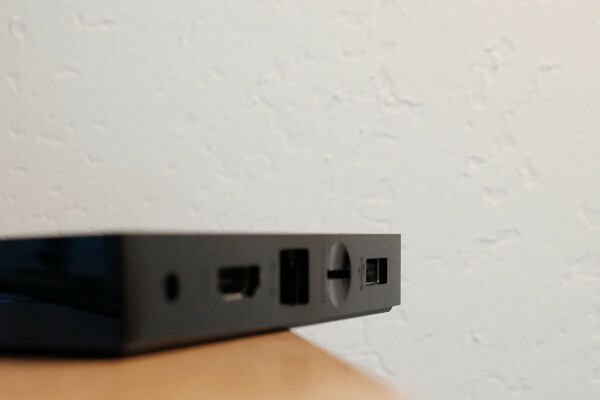 True to its name, the original Fire TV burned hot. The successor is even hotter. The overall responsiveness surpasses any other set-top box I have tested (yes, that is many). The user interface is fluid almost to fault. I keep scrolling too far using the remote because the visual cues and menus move so quickly. Don't blink! Or you will miss something. If you think a cable set-top or Smart TV is slow, either will be downright miserable driving after taking Fire TV on the road. The streamer is a speedster that I have yet to see matched by comparable set-tops costing as much or less. Content loads almost instantly in my home, where the Internet is speedy: More than 100 Mbps over WiFi AC from Google OnHub connected to Cox. That surely helps, and that is for 1080p content. I don't own a 4K television, but I will test the capability elsewhere sometime soon. Ultra HD is a big differenator that makes Fire TV a huge value compared to its lifestyle platform competitors. 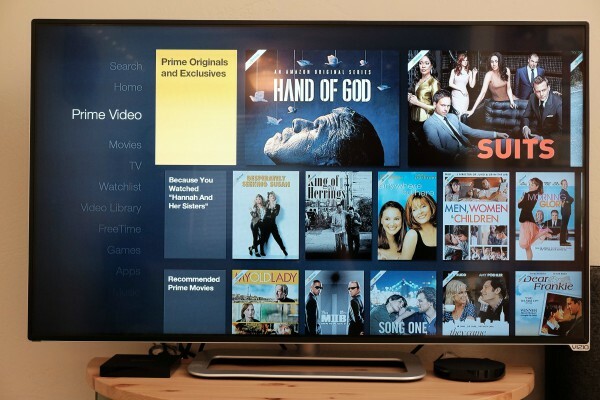 Amazon started offering 4K content in December 2014, and some of it is free for Prime members. Netflix and YouTube also offer 4K content that is watchable on the streamer. Circling back to performance, Amazon leverages cloud capabilities with software intelligence to add zang to the hardware's zing. The company claims, and this is hard to discern in testing since there are no obvious cues: "ASAP (Advanced Streaming and Prediction) learns what Amazon movies and shows you like and gets them ready for you to watch. The more you use Fire TV, the more accurate ASAP becomes, dynamically adapting to your viewing habits". ASAP? Surely some geek coined that trying to play off the more traditional "as soon as possible". The connotations are right. Fast. To repeat, you feel the speed scrolling through the menus, which deserve their own mention. Amazon doesn't much change the new Fire TV user interface from its predecessor so much as subtly improve on an excellent motif. Amazon boldly and invitingly presents content. I find discovering new stuff on Amazon to be a superior experience compared to Netflix. Both services make recommendations based on your past behavior, but I often miss great programming because Netflix presents meaningless Movie Z based on my having watched Film A. In my humble experience, the service's intelligence increases by compelling you to rate movies, for example (e.g., your extra interaction). By contrast, Amazon applies some of its retail shopping smarts to content discovery. The digital store as used used on Fire TV finds programs or movies that I really would want to watch based on my past viewing habits and, presumably, searches. There must be some magic sprinkled in there, because the adaptive, predictive accuracy easily exceeds Netflix. If Amazon flashed one of those flashing "Palmer Reader" signs on the outside of Fire TV, I would pay up. Wrapping up, one of Amazon video's best features, spectacularly presented on Fire TV, is X-Ray. With one-click of the remote you can bring up an overlay bottom bar of the film's or TV program's cast. Another click puts them big and bold across the screen, where you can get loads of useful information about them, including other movies or shows in which they appear. It's IMDB on steroids, without using smartphone or tablet. Granted, Google gives something similar, and Apple promises something like it, but Amazon X-Ray's overall presentation is best of class. 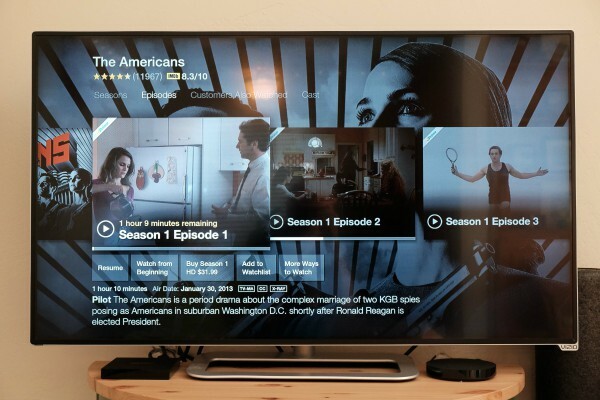 Put it all together and we come back to where we started: Fire TV is the best all-around streaming box currently available (well, starting October 5th) from the three major digital lifestyle platform providers.